Heart failure is a debilitating syndrome with a mortality rate similar to that for some cancers. In addition it is often misdiagnosed and under-diagnosed, and many heart failure patients, who are often elderly, also suffer with other complicating co-morbidities. to provide expert advice to healthcare professionals, patient or government organisations, including the National Health Service, when appropriate and as requested. 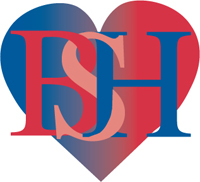 The BSH has a multi-disciplinary membership with over 1,300 members including cardiologists, nurses (community, primary and secondary care), GPs, geriatricians, surgeons, scientists, pharmacists, physiotherapists, trainees in internal medicine and other healthcare professionals involved with the diagnosis, treatment and management of heart failure, and research in this area.